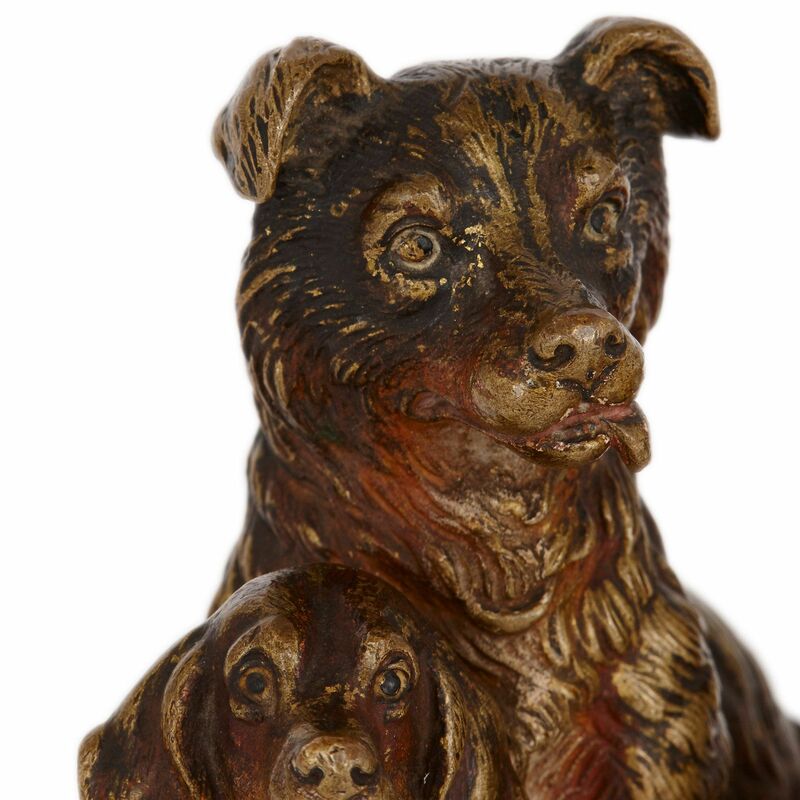 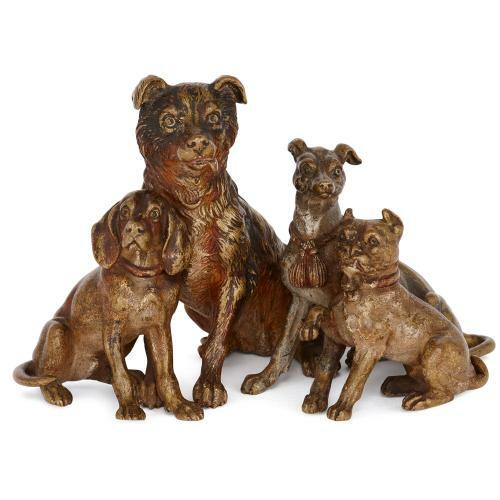 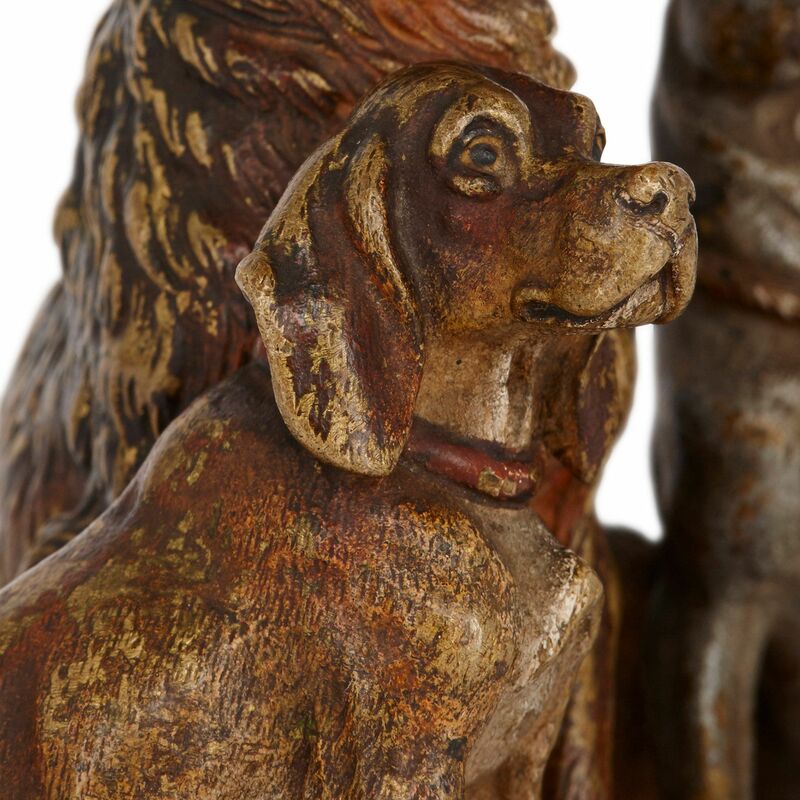 This adorable antique bronze sculptural group of four dogs is attributed to the celebrated master of Viennese cold painted bronze, Franz Bergman. 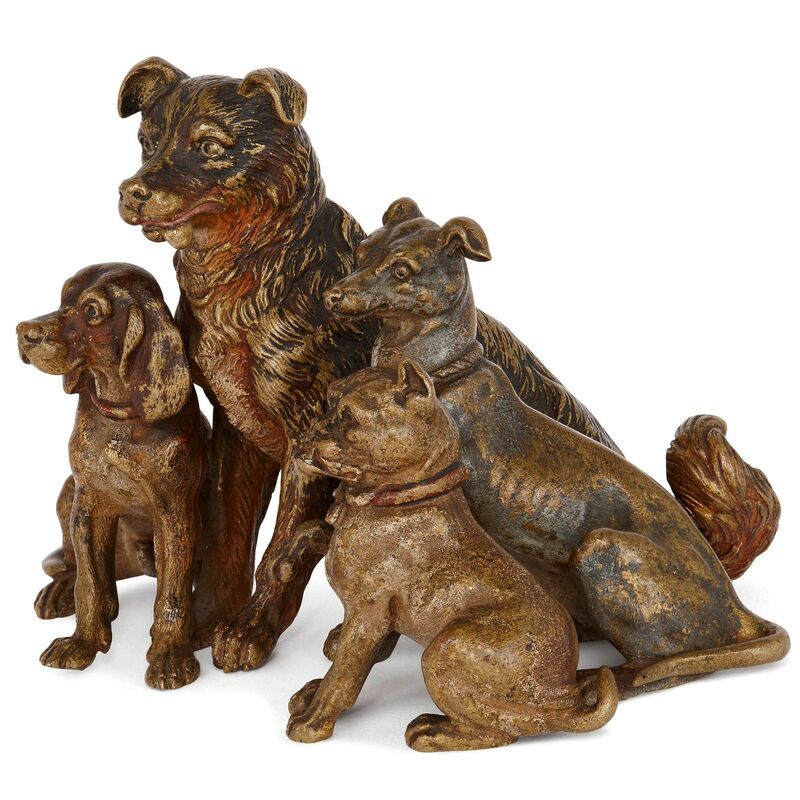 This truly charming cold painted bronze group depicts four dogs, all of different breeds and sizes, seated huddled together. 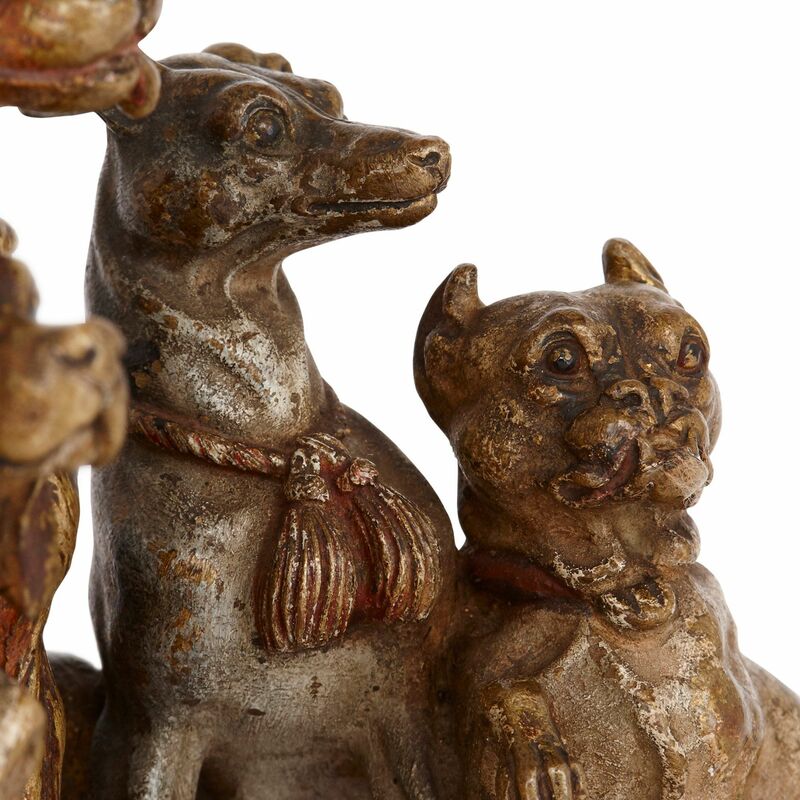 All four dogs wear individually designed collars. 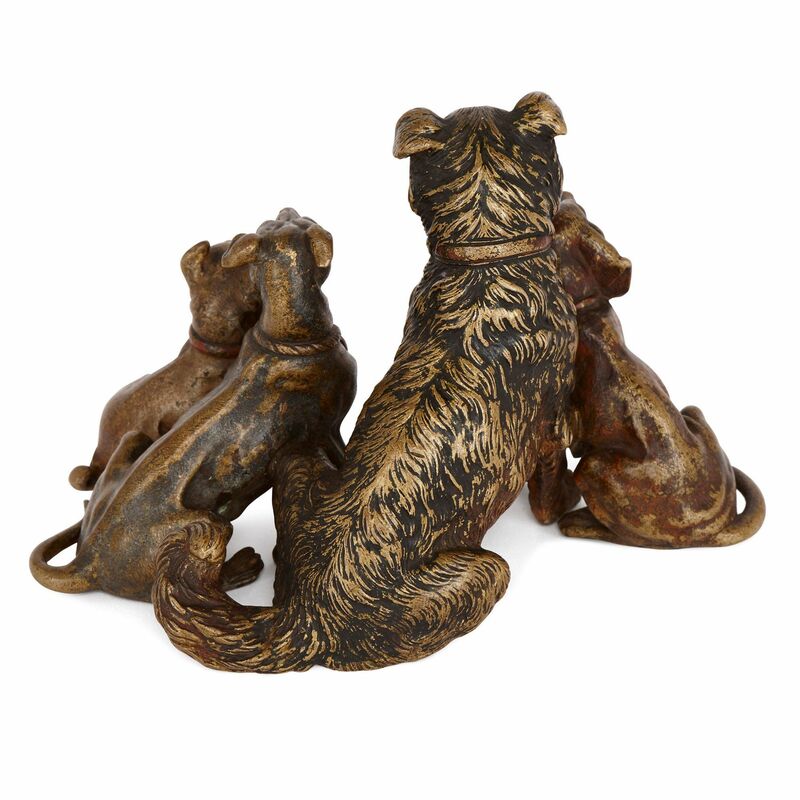 The sculpted group is attributed to cold painted bronze master Franz Bergman for the startlingly naturalistic representation of the postures and expressions of the dogs, as well as the masterful execution of the complicated cold painted bronze technique.